The Language Skills Program was a three year pilot program that concluded at the end of the 2014 school year. The program was so successful that it is being expanded into a new program aptly entitled A Taste of Honey. 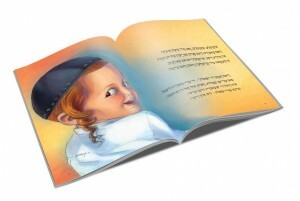 GOAL: To develop and promote language skills, expression and interpersonal communication in the Haredi preschools (3-6 year old children). Achiya’s Language Skills Program is an outreach program for boys between the ages of 3 to 6, aimed at developing and promoting language skills, expression and interpersonal communication in young children. Achiya’s pedagogical counselors provide intensive training through workshops and lectures to the over 50 teachers (melamdim) participating in the program on (a) the importance of language skills and enrichment, (b) techniques to improve communication and (c) how to implement speech skills and encourage verbal participation in the classroom. Once the melamdim have undergone basic training and understand the program, the pedagogical counselors work with the melamdim within the classroom, guiding them how to adapt what they have learned to the specific needs of their young charges. Achiya also assists the teachers in designing and equipping the classroom area in a way that encourages verbal interaction, both among the children as well as between the children and their teacher. 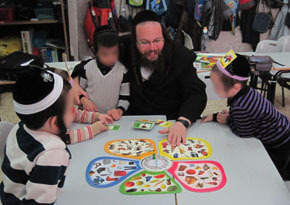 The Yad Hanadiv Foundation has provided Achiya with a generous grant to purchase suitable didactic games and socio-drama accessories for each of the 51 classrooms. Each class is equipped according to the children’s ages. The teachers are trained how to properly use the games and accessories as tools for improving language skills and general language enrichment. They learn that playtime through storytelling, drama and playing games, can be both enjoyable and educationally enriching. 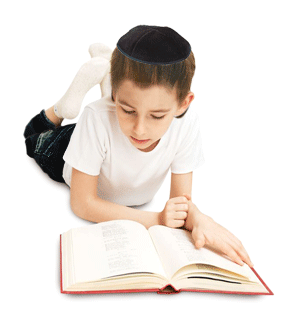 Aviva Sverdlov, Educational Advisor for the Language Skills Program, explains the importance of the program: “Studies have shown that there is a direct correlation between a young child’s mastery of a first language and later cognitive abilities. Since, at present, the majority of male preschool teachers have no professional training (a fact that is quickly changing, thanks to Achiya’s Teachers’ Training College) Achiya has seen the importance of providing younger children with language skills, in addition to giving the teachers knowledge that they will use to enrich future classes. Parenting Workshops and Lectures are an integral part of the Language Skills Program. Parents are made aware of the importance of encouraging verbal expression; given tips on improving children’s pre-reading skills and provided with guidance on regular parenting skills. Teachers’ handbook: Following experience gained in the three year pilot program, Achiya professionals have written a teacher’s guide, which contains all the theoretical and practical material that the teachers need to implement the program in their classroom. 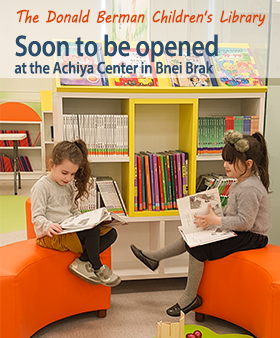 Mother &Child Playgroups in Bnei Brak and in Beitar-Ilit, provide real-time guidance to mothers, teaching them how to use toys and books to increase their children’s vocabulary and express themselves accurately. The program is limited to children at risk, and is under the guidance of JDC-Ashalim, the Social Services Department of Bnei Brak and the Social Services Department of Beitar-Ilit. As part of a research project, the Meyers-Joint-Brookdale Institute has been evaluating the program since its inception in order to provide data that will be used to help perfect the program’s design and development. 3) Evaluating the program’s influence on the teachers’ conversations with the children and the teachers’ ability to integrate language enrichment into their classrooms.